Recovery-program graduate returns to offer help to Seattle's homeless. It’s about as low as you can get when people on the streets don’t even want you around. “You almost feel as if you never existed,” says Mike. There was a time when Mike was ministering to people like himself. But when his wife left with the kids, he covered his pain with alcohol and heroin. Friends and family didn’t want Mike around. Before long Mike was homeless. “It was cold; I had a tank top and shorts. No blanket, no cardboard, sleeping on the cement,” he says. 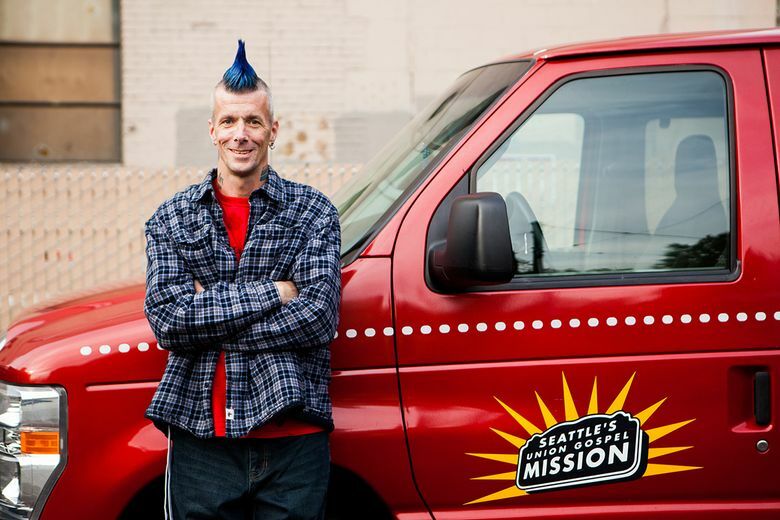 Seattle’s Union Gospel Mission Search & Rescue vans served Mike in the past, but it was 48 hours of near-death experiences that drove Mike to long-term help. “A gang told me I had three days to leave Kent or they were going to kill me. The next night, I nearly died from bad heroin and was rushed to the hospital. My heart stopped twice,” says Mike. Mike got on a city bus, told the driver he was broke and headed for treatment, and the driver let him ride for free. No one had been kind to Mike in a long time. He wept the entire ride. He called the Mission and was accepted into the recovery program the very next day. There, he gained the sense of belonging and purpose he craved. 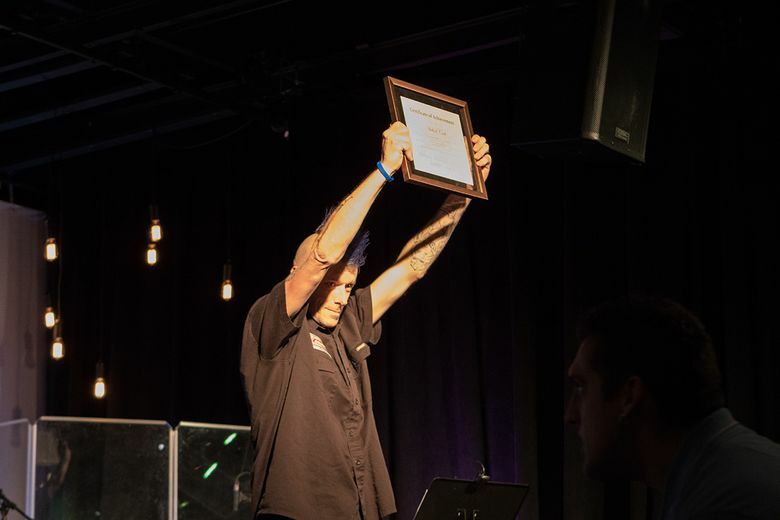 Finding new healing for his deep pain, Mike successfully graduated from the Mission’s recovery program, as well as completed a second-year internship. Mike has returned to the same streets where he had lived — but this time he’s bringing hot cocoa, sandwiches, and blankets with the Mission’s Search & Rescue team. Now coaching volunteers as they serve throughout King County each night, Mike leads groups through encampments and along the streets, knocking on the windows of cars and RVs, and calling out, “Seattle Union Gospel Mission Search & Rescue.” It’s a well-known invitation to come to the van with LOVE written on its side to find what they need to make it through another night. When Mike shivers on a cold January night now, he reflects on how he survived his own drug-induced dance with death. He’s thankful that he can now go to a warm home, but even more thankful he can offer a warm bed at the Mission and a second chance to start a new life. Many volunteers come to the same conclusion. They say that being part of Search & Rescue changes your life, no matter which side of the equation you’re on. Talking to a person who is homeless feels risky, but not in the ways we might imagine. We all know about the dilemma we face. It’s nearly impossible to drive through Seattle and not see someone holding up a sign, asking for help; we can’t turn on the news without hearing about the need. Sometimes we think it’s enough to understand. But to enter the world of someone who is homeless, even for a few hours, with the safety and security of the Search & Rescue team changes everything. Because we just might hear a story that will change our thinking about the people living on our streets: the abuse they suffered as a child and ran away from; the job and home they lost through a layoff; their guilt over the devastating choices they’ve made. Then our hearts might break a bit, and we might understand a little more that beneath the surface of our circumstances, we all want the same things. We want our love. We want our life to matter. And like Mike, we want to do more than exist. When you volunteer or give, it can change a person’s life forever. It will change your life, too. 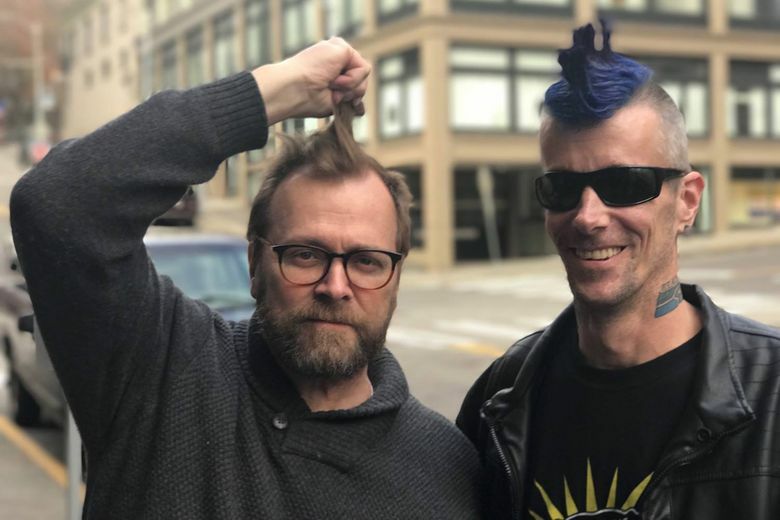 Seattle’s Union Gospel Mission serves Seattle’s homeless by addressing short-term physical needs and providing long-term solutions that break the cycle of addiction, mental illness, and poverty. We share God’s love by serving those in greatest need. Learn more at ugm.org.